Overall Capacity Range AnyGreater than 26 cu. ft.Less than 16 cu. ft. The Danby Silhouette DBC514BLS 5.3 Cu. 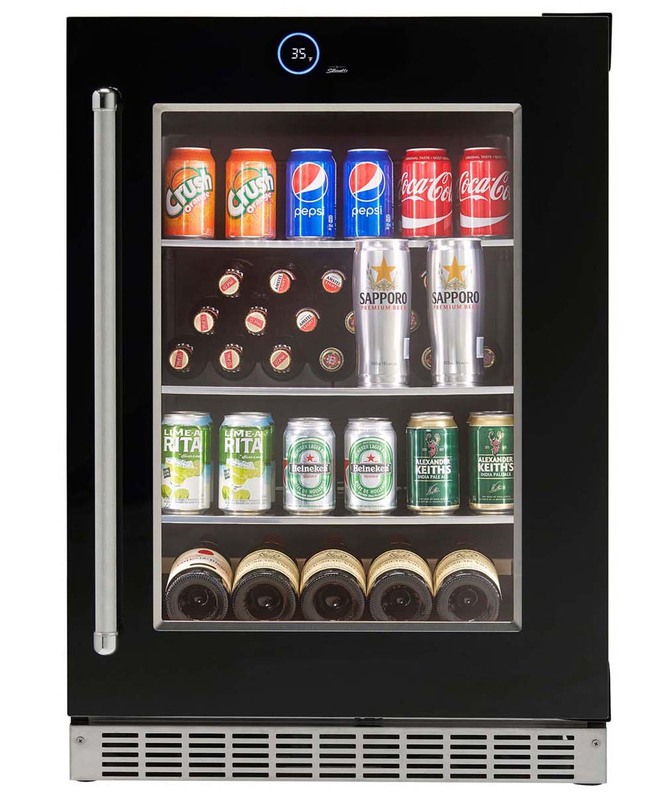 Ft. Beverage Center is a stylishly superior alternative to the compact fridge. The generous interior will accommodate 112 beverage cans and 11 bottles of wine. Or use it to refrigerate cheese trays, fruit platters or other hors d'oeuvres until your guests arrive. Precise digital thermostat with LED display permits the temperature to be accurately set and monitored through the door. 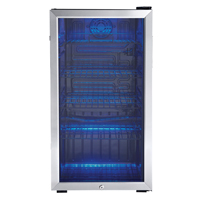 Elegant tempered glass shelves with chrome trim and Cool Blue true LED track lighting system beautifully showcases the wine.5.3 cu. ft. capacity holds up to 112 beverage cans and 11 bottles of wine|Integrated application|Fan forced cooling system|Temperature range 4ºC - 18ºC (39ºF - 64ºF)|Tempered glass door with stainless steel frame and handle|3 Frosted tempered glass shelves with stainless steel trim|Precise digital thermostat with LED display|Integrated door lock with key|Interior LED light illuminates without the heat of an incandescent bulb|Reversible hinge for left or right hand opening| danby| dbc514bls| 5.3cf| 5.3| cf| cu.| ft.| cu| ft| silhouette| beverage| center| wine| cooler| chiller| all| refrigerator Package Contents: Silhouette beverage center|manual / warranty This item cannot be shipped to APO/FPO addresses We do NOT provide any installation services nor removal of old appliances. Delivery for large items is curbside only. 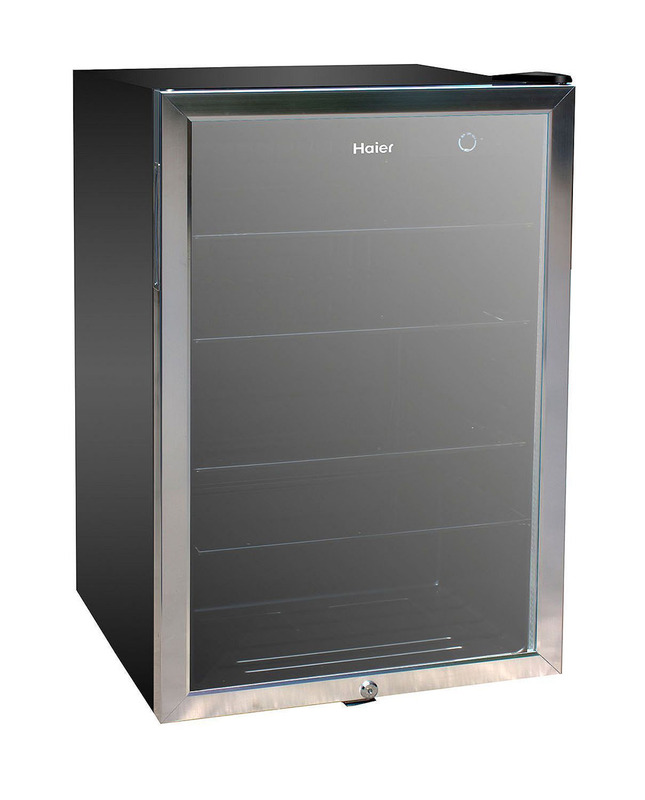 The Haier 150-Can Beverage Cooler is ideal for anyone who likes to keep a large supply of cold drinks on hand. It's also great for game rooms entertainment centers meeting places and offices. 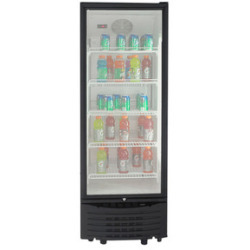 This cooler has four full-width glass shelves making it easy to arrange and access beverages. 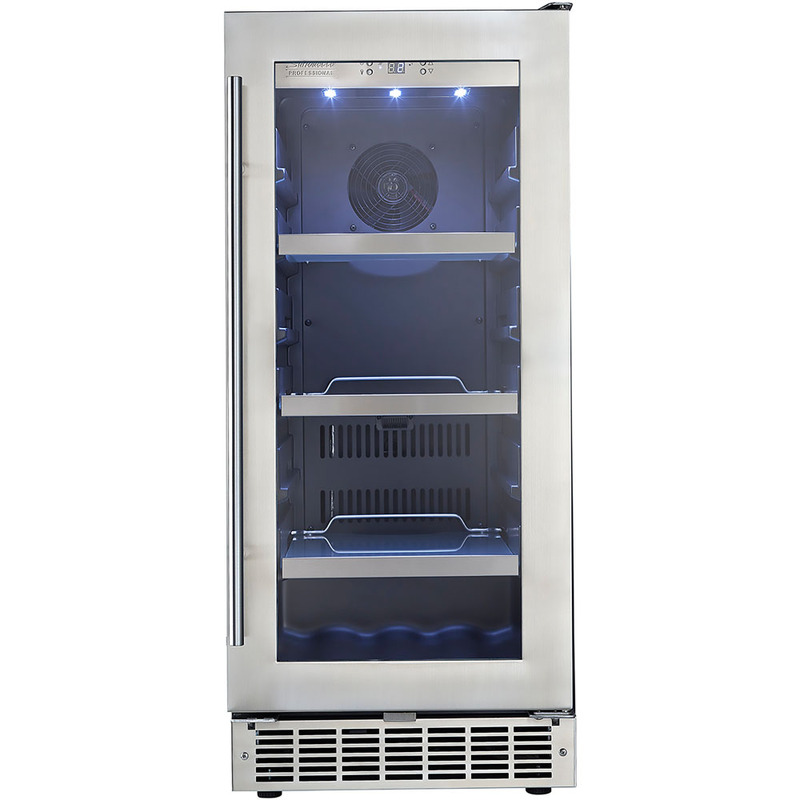 Its recessed glass door is reversible for flexible placement and the cooler is equipped with a lock and key. Black This item cannot be shipped to APO/FPO addresses. Please accept our apologies. 3.3 cu. ft. (120 can) capacity beverage center. 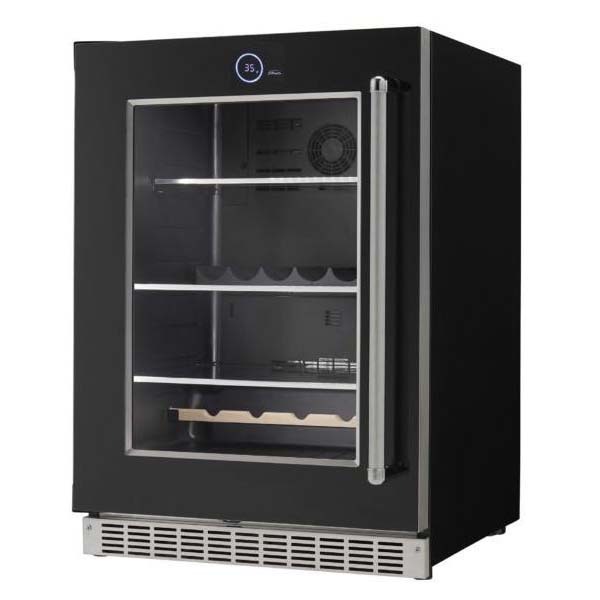 Features temperature range of 6-degree c - 14-degree c (43-degree f - 57-degree f), mechanical thermostat, 3.5 black wire shelves, tempered glass door with stainless steel trim, recessed side mount door hand le, integrated lock with key, door activated interior light, reversible door hinge. This item cannot be shipped to APO/FPO addresses. Please accept our apologies We do NOT provide any installation services nor removal of old appliances. Delivery for large items is curbside only. The Danby DBC2760BLS 5.0 Cu. 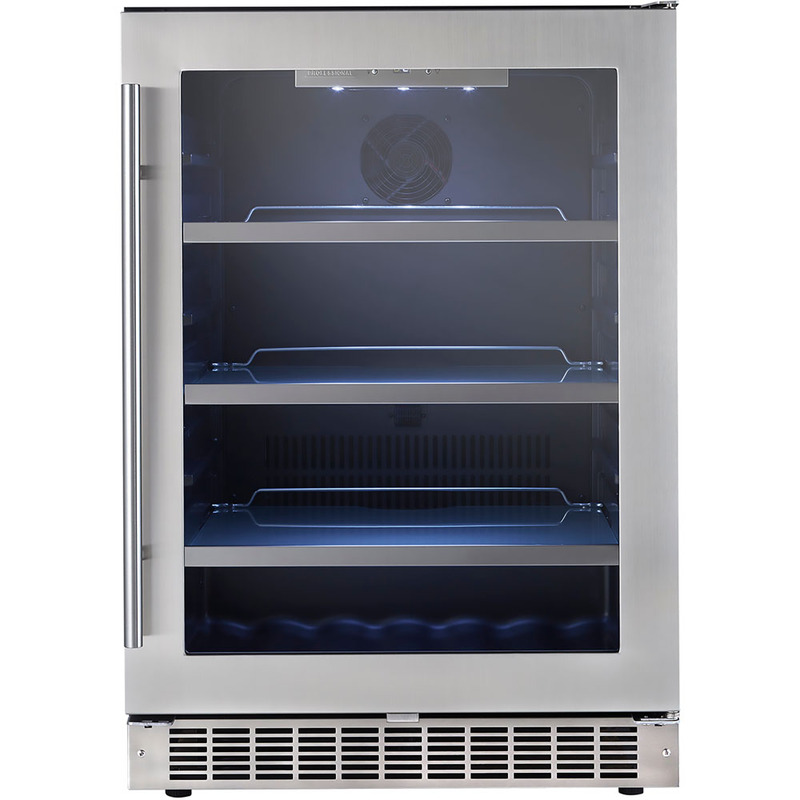 Ft. Silhouette Beverage is a French door inspired beverage center, which boasts two independently controlled temperature zones for wine and beverage storage. It offers the perfect balance for entertaining. One compartment can hold up to 60 beverage cans while the other can store up to 27 bottles of wine. It includes a Cool Blue LED track lighting system that beautifully showcases contents without the added heat of an incandescent bulb.5.0 cu. 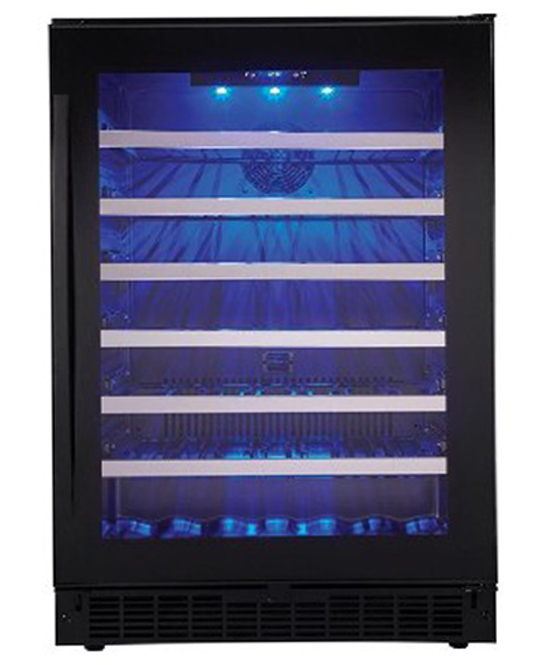 ft. (140L) capacity beverage center|27 bottle capacity in wine compartment|60 can capacity in beverage compartment|Integrated application|Cool blue LED lighting illuminates the interior|Integrated door lock|Precise digital thermosat with LED display|Temperature range 4ºC - 18ºC (39ºF - 64ºF) per compartment|7 sliding wire shelves and 4 tempered glass shelves|Tempered glass French door design with stainless steel trim| danby| dbc2760bls| 5| 5.0| 5cf| 5.0cf| cu.| ft.| cu| ft| silhouette| beverage| center| french| door| doors| design Package Contents: silhouette beverage center|manual / warranty This item cannot be shipped to APO/FPO addresses We do NOT provide any installation services nor removal of old appliances. Delivery for large items is curbside only. 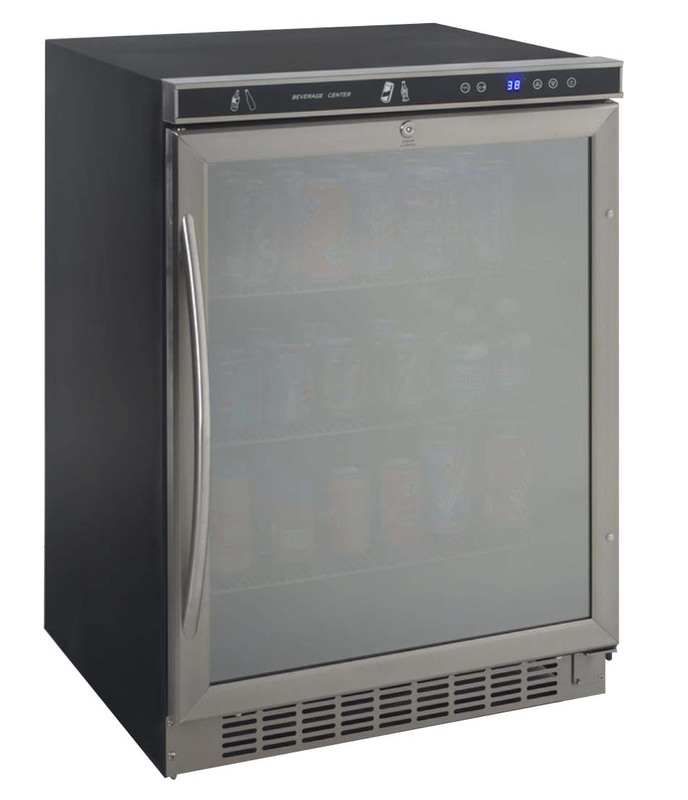 The Danby Silhouette Lorraine 24-inch French door beverage center is a stylishly superior alternative to the compact fridge designed for fully-integrated, flush built-in application. The generous 4.7 cu. ft. capacity interior will accommodate up to 61 beverage cans and 21 bottles of wine. 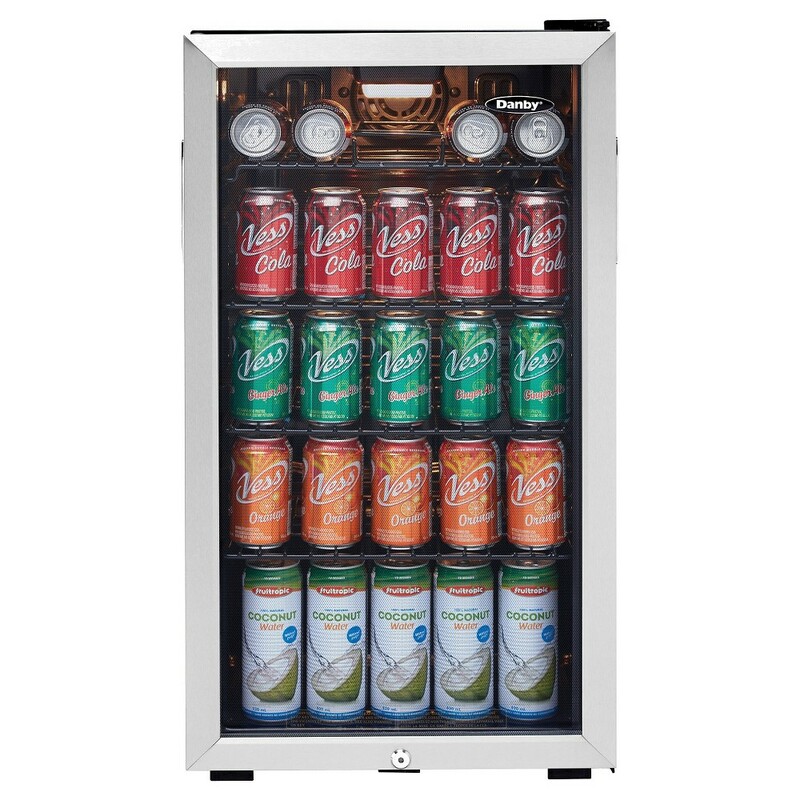 The beverage compartment includes 3 adjustable tempered glass shelves and can hold up to 61 beverage cans. The wine compartment includes 5 full extension shelves and can store up to 21 bottles of wine. The wine shelves float on silicon buffers which absorb vibration while minimizing disturbance to the wine. Each compartment is independently controlled by a programmable thermostat. An audible alarm alerts you if a door is left ajar or if the interior temperature fluctuates excessively. Plus, white LED interior lighting beautifully showcases everything.4.7 cu. 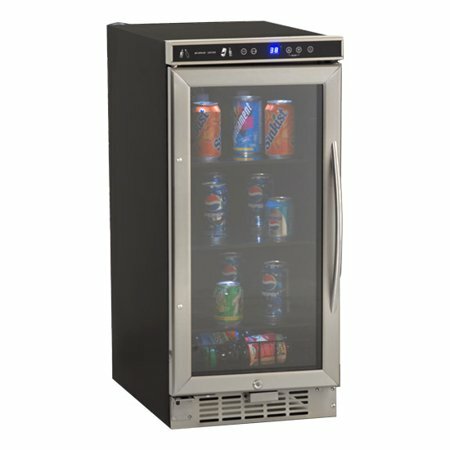 ft. capacity holds up to 61 beverage cans and 21 bottles of wine|French door design with sleek contemporary handles|Designed for fully-integrated, flush built-in application|Frost-free fan-forced cooling for superior performance|Precise digital thermostat with LED display for each compartment|Beverage compartment can be set between 36ºF-64ºF (2ºC-18ºC)|Wine compartment can be set between 39ºF-64ºF (4ºC-18ºC)|Wine shelves float on silicon buffers which absorb vibration|Durable ball bearing shelf glides allow for full extension of wine shelves|Interior LED light illuminates without the heat of an incandescent bulb| danby| dbc047d3bsspr| 4.7cf| 4.7| cf| cu.| ft.| cu| ft| silhouette| lorraine| french| door| beverage| center| wine| cooler| chiller| all| refrigerator Package Contents: beverage center|manual|warranty This item cannot be shipped to APO/FPO addresses We do NOT provide any installation services nor removal of old appliances. Delivery for large items is curbside only. Sleek stainless steel beverage cooler keeps beverages cool and easily available. Convenient triple layer glass front door is frost-free, to better showcase drink choices. Convenient cooler provides plenty of storage, with three adjustable shelves. Holds up to 120 cans. Reversible doors can be installed left or right to fit any configuration. Comes with full-range temperature control and interior light. Quiet, low-energy consumption refrigerator/cooler is perfect in any space. Leveling glides help compensate for uneven floors. Flush back design conceals components and allows a seamless fit in tight spaces. Capacity (Volume): 3.4 Cu. Ft.; Width: 19 3/10"; Depth: 17 1/10"; Height: 33 1/8". 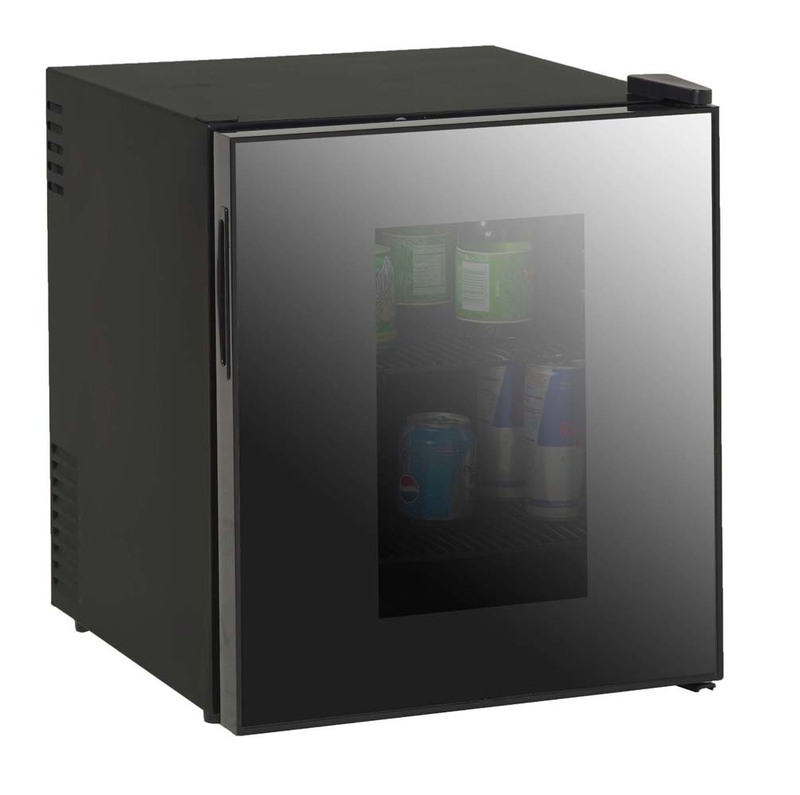 7 CF Deluxe Beverage Cooler Free-Standing 1. Compact and stylish unit features SuperConductor cooling technology for Whisper Quiet operation and superb cooling performance. Ideal for home bars, offices and hotels to showcase and serve beverages for friends and guests. 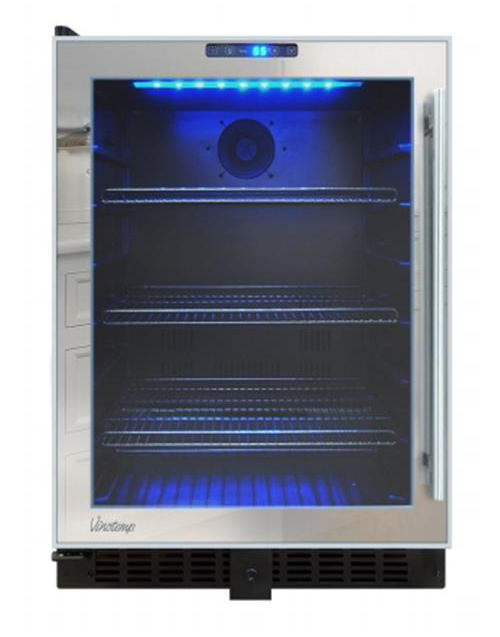 Unique State-of-the-Art Super Conductor Cooling Technology Whisper Quiet Operation LED interior light with ON / OFF switch See Thru Door with Mirrored Framed Finish 2 Removable and Adjustable Shelves Specifications Net Capacity 1. Color Black Cabinet w/See thru Window Unit Dimensions 20. 25"" H x 17"" W x 19"" D Carton Dimensions 21. 25"" D Unit Weight 33 Lbs. Defrost System Auto Defrost Power 110V/60 Hz Reversible Door Yes � . 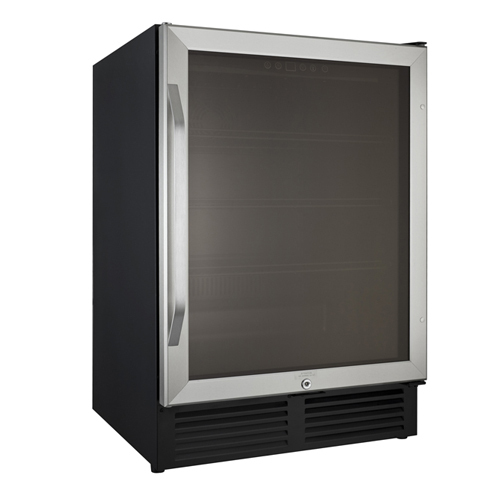 The 24" Commercial Beverage Cooler from Avanti will be the best addition to your place. The unit features a spacious 11.3 cu. ft. capacity to store various sized bottles. The security lock eliminates any worry of anyone tampering with the goods. The digital temperature control with display is easy to use. 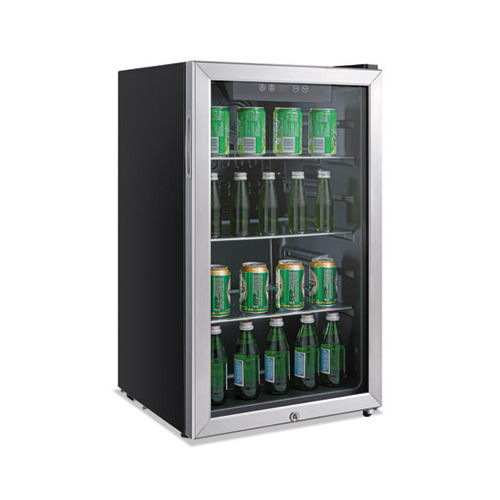 The 5 adjustable/removable shelves accommodate any sized drinks.> This unit uses a frost free cooling system> With the security lock, you will not need to worry about anyone tampering the contents.> Easily control the temperature with the digital temperature control with digital display> LED interior light illuminates the content without creating excess heat.> Install the unit perfectly against the wall with the flush back design.> U.L. Rated for Commercial Use> Limited 1 Year Parts and Labor, Limited Secon This item cannot ship to APO/FPO addresses. Please accept our apologies. 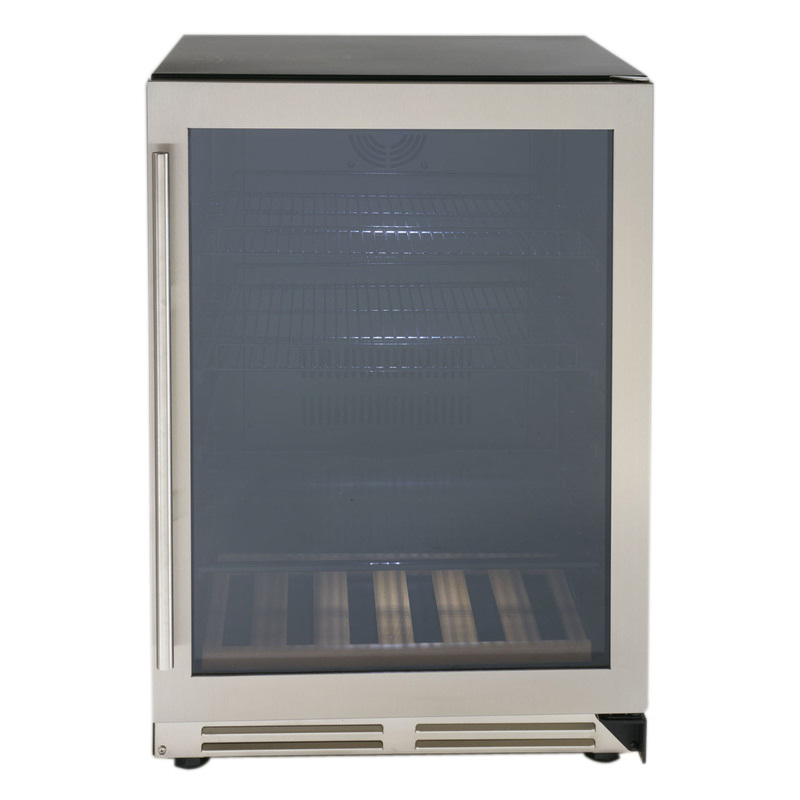 AVANTI �BEVERAGE COOLER� WITH STAINLESS STEEL DOOR� APAV306SS 3. 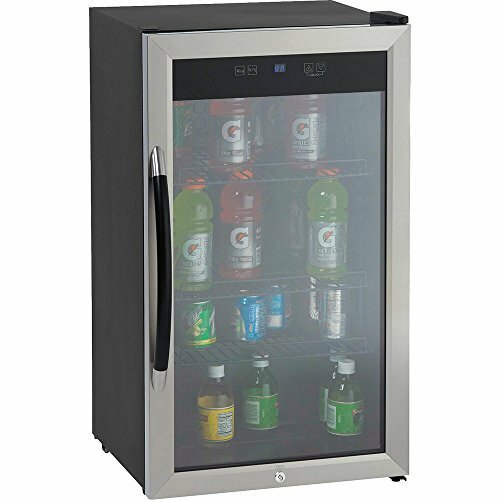 0 CU FT BEVERAGE COOLER W/ STAINLESS STEEL DOOR FRAME AND DUAL PANE THERMO GLASS DOOR W/LOCK / DIGITAL CONTROLS � � . 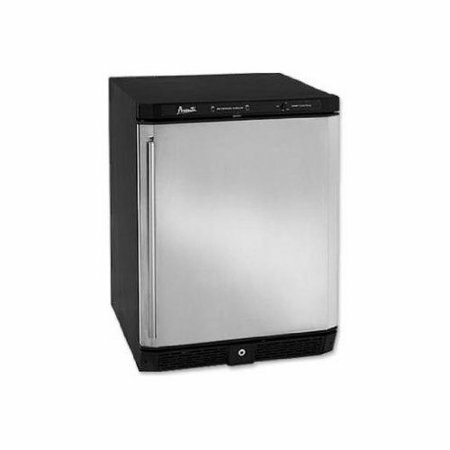 AVANTI� DESIGNER SERIES� 24" BEVERAGE COOLER� APAV54SS �5. Capacity Temperature Setting Range: 39�C/�F - 50�C/�F Reversible Door Two (2) Vinyl coated Pull-Out and Adjustable Shelves One (1) Glass Shelf One (1) Wooden Shelf on Pull-Out Roller Assembly to Accommodate Wine Bottles Electronic Control and Display for Monitoring Temperature (�C/�F) One Touch ON/OFF Interior Light Control . 4.3 cu. 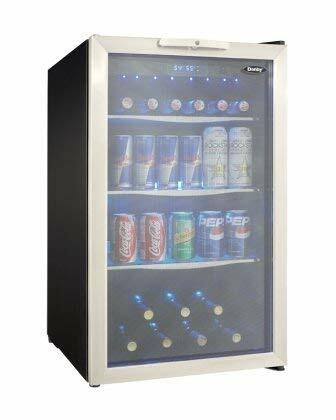 ft. (123 litre) capacity free standing beverage center, Holds a maximum of 124 (355ml) beverage cans or 7 bottles of, wine and 88 beverage cans and 78 beverage cans, Tempered glass door with stainless steel trim, 3 tempered glass shelves with stainless steel trim, Temperature cooling range of 4�C - 18�C (39�F - 64�F), Interior blue LED lighting displays the contents, Electronic blue LED thermostat, Integrated door lock with key, Reversible door hinge for left or right hand opening, dimensions: 19 7/16" W x 24 1/8" D x 33 1/16"
Avanti's 5.0 cu. 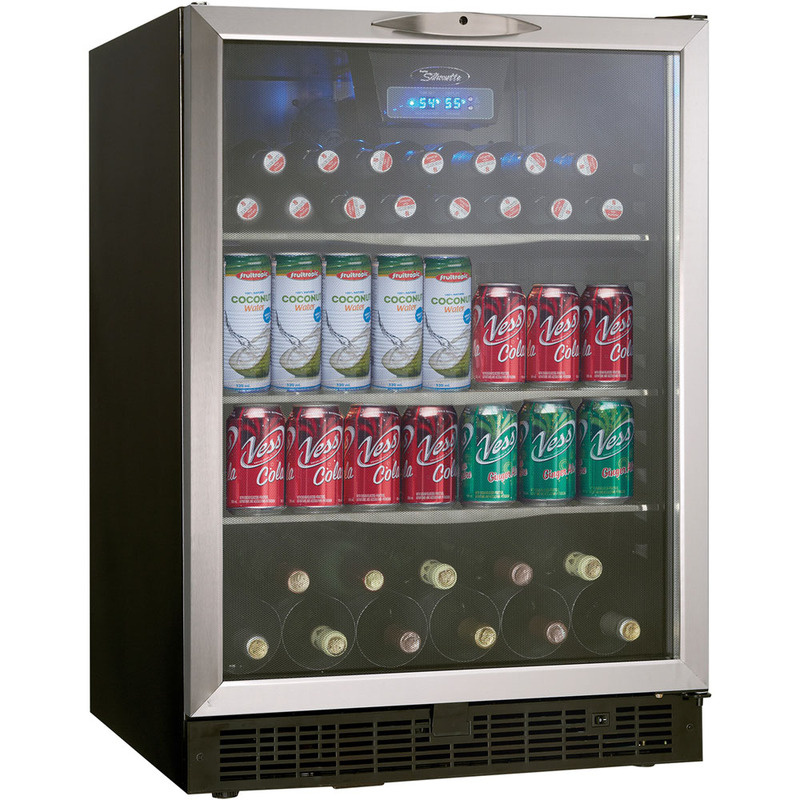 ft. Beverage Cooler has Electronic Control and Display for Monitoring Temperature. 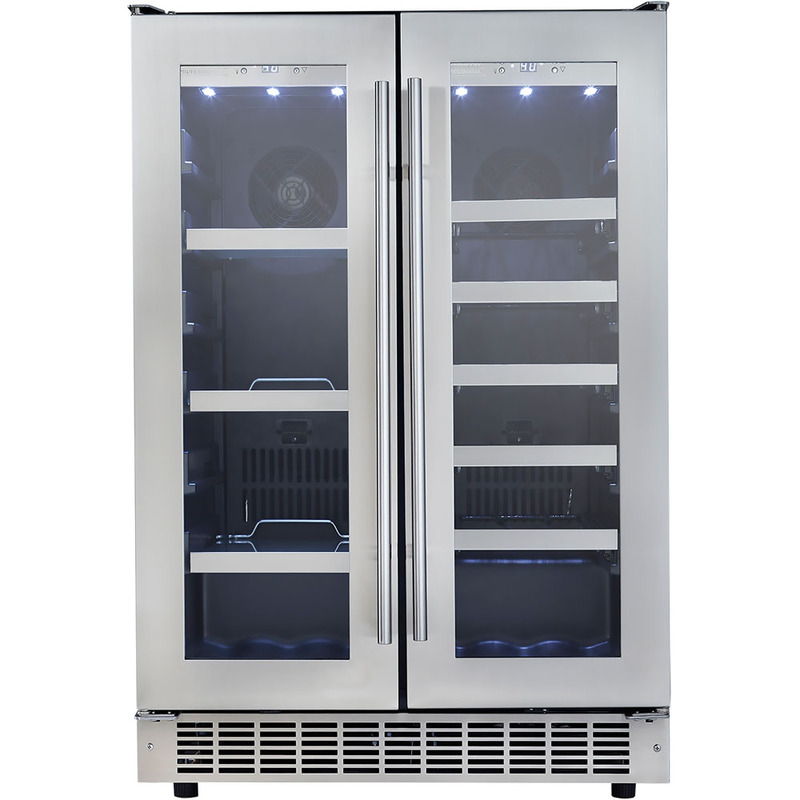 This unit boasts a Temperature Range: 39 – 45 F. The Stainless Steel Door Frame and Handle fit in with any decor. The Double Pane Tempered Reversible Glass Door allows you to see what is inside. 5.0 Cubic Feet Beverage Cooler>Uses 6 infrared quartz heating elements>Built from solid hardwoods and real wood veneers>Concealed furniture quality casters roll in any direction>Excellent zone heating source>Functional drawer to store small items>Can be used as an end table This item cannot ship to APO/FPO addresses. Please accept our apologies. 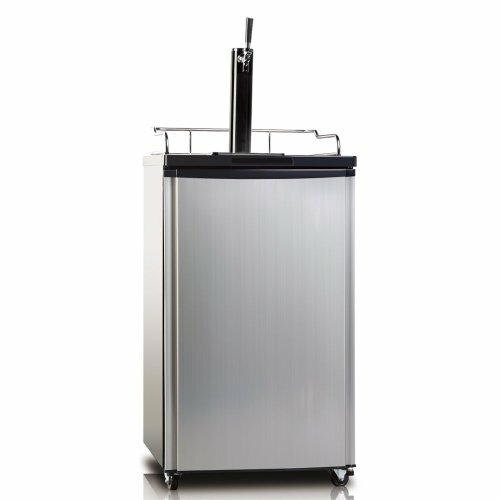 Beer Dispenser, 4.9 Cu. Ft., Convertible For Refrigerator Application, Black. 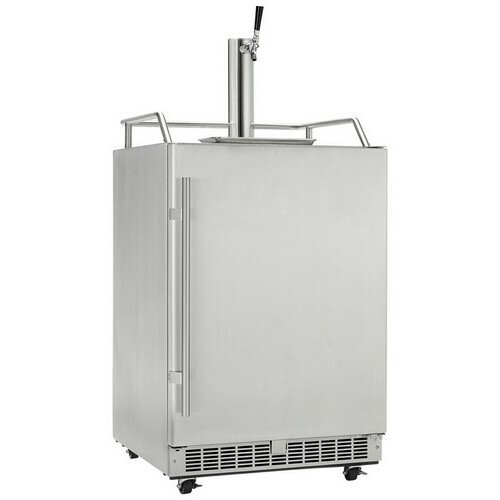 Beer Dispenser, 4.9 Cu. Ft., Convertible For Refrigerator Application, Black. Net Capacity: 4.9 Cu. ft., Unique beer dispenser, Concealed door handle, Chrome tower dispenser, Ideal beer temperature, High cooling efficiency, Convertible for refrigerator application, Unit Dimension: (HxWxD) 33.66x 20.07 x 24.8, BRANDNAME : Equator-Midea, We do NOT provide any installation services nor removal of old appliances. Delivery for large items is curbside only. 2.5 Cu. Ft. Capacity Beverage Cart|Wrap Around Stainless Steel Cabinet & Handle|Digital Temperature Control with Display|Heavy Duty Casters for Easy Movement|Dual Sliding Glass Doors with Lock|Collapsible Serving Table|Convenient Bottle Opener on the Cabinet|Protective Cover Included|Two Removable Interior Storage Baskets|One Removable Exterior Convenience Basket|Color: Stainless Steel This item cannot ship to APO/FPO addresses. Please accept our apologies. We do NOT provide any installation services nor removal of old appliances. Delivery for large items is curbside only. 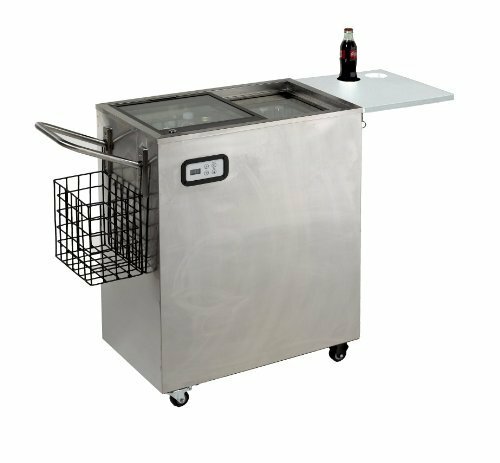 24" Wide Beverage Cooler with 5.1 Cu. 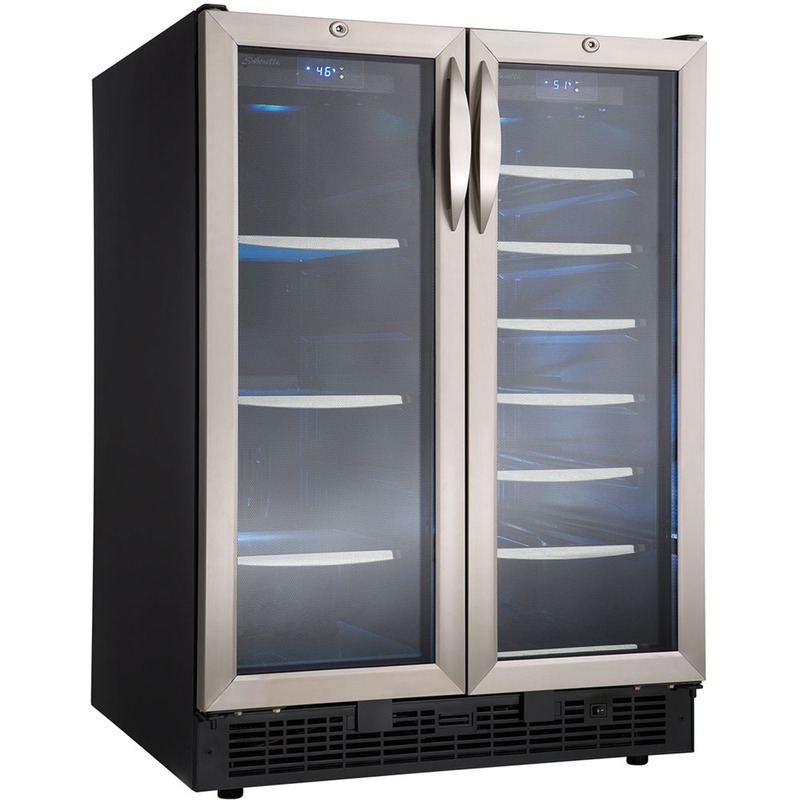 Ft. Capacity|Removable/Adjustable Chrome Shelves|Reversible Double Pane Tempered Glass Door with Mirrored Finish|Stainless Steel Frame & Handle|Soft Touch Dual Function Electronic Display Panel for Monitoring Temperature (�C/�F)|Long Life & Cool LED Interior Lighting with ON/OFF Switch|Matching Wine Chillers (WCR5403SS & WCR5404DZD)|ADA Compliant This item cannot ship to APO/FPO addresses. Please accept our apologies. We do NOT provide any installation services nor removal of old appliances. Delivery for large items is curbside only.